It's just possible one of these models (G) is wearing an air filter on her head…or a once-fashionable hat. 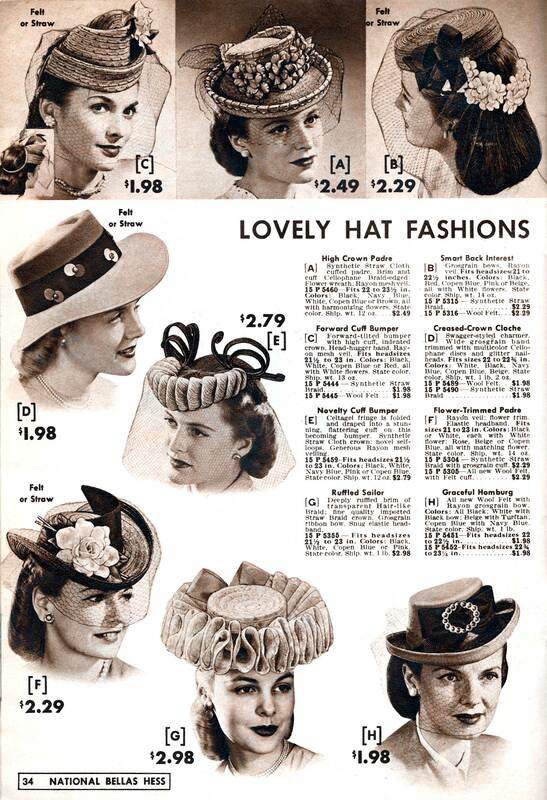 The eight hats pictured on this page (do zoom in) were part of a double-page spread of chapeaus that ranged from passably chic cloches to headgear more appropriate for nuns or Little Bo Peep. Nothing lasts forever. Certainly not women's styles, and not even once-dominant retailers. National Bellas Hess was one of the big five general merchandise catalogs that thrived during the 20th century — the others were Sears Roebuck, Montgomery Ward, Alden’s, and Spiegel. Well, that's the word I found online. I don't recall any Bella Hess catalogs around our house growing up. But perhaps their style wasn't our family's. 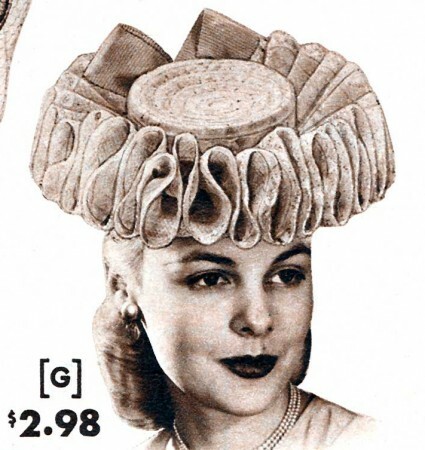 Bella Hess went bankrupt in 1971, and these hats were out of the picture long before.